I really, really like sweet potatoes. I love them plain with some butter or coconut oil and Himalayan salt. 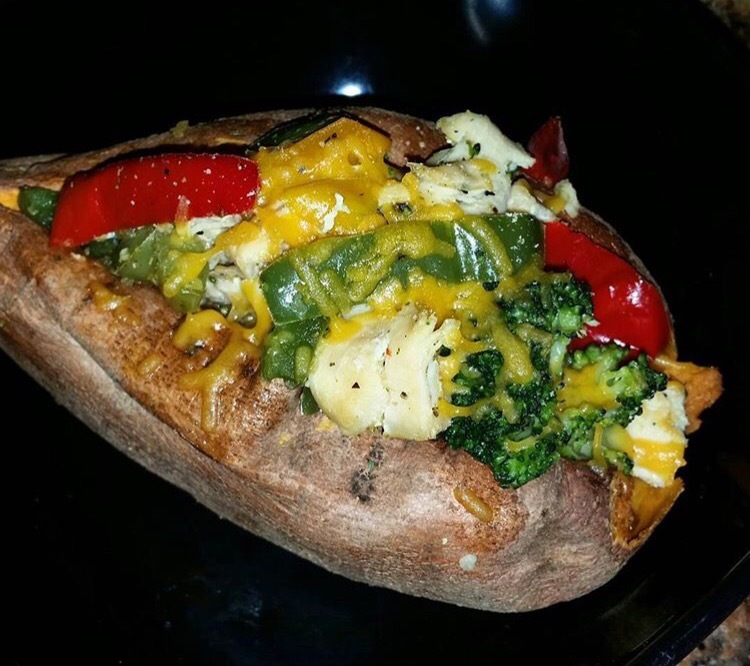 So when i stumbled upon the idea of stuffing a sweet potato I was instantly intrigued. 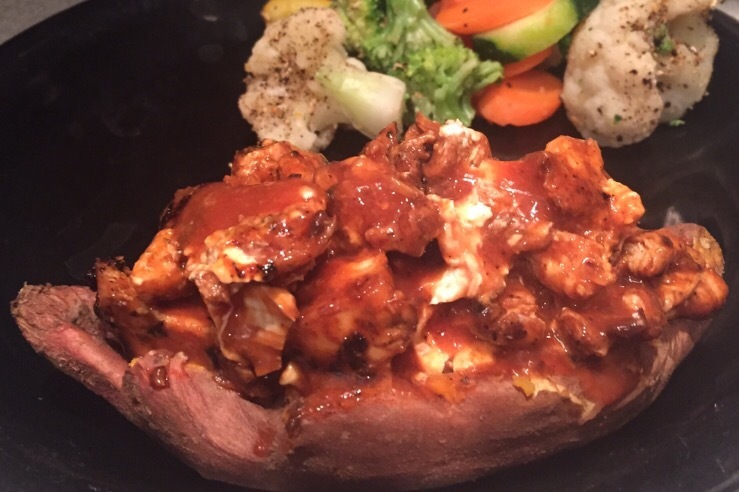 Below are my favorite sweet potato recipes that I have tried so far. They make for a filling and easy meal. We make a bunch of these ahead and wrap in foil for quick meals especially if you are trying to stick with clean eating. 1. 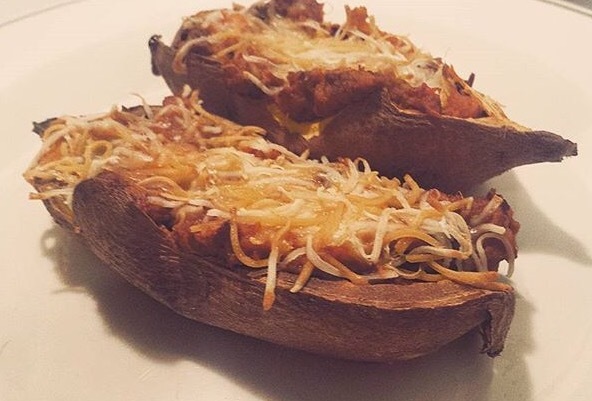 Bake sweet potatoes in the oven or in the microwave. Make sure to poke holes in the potato so the heat can vent out. 2. Slice sweet potatoes down the middle and generously stuff with vegetable filling. Top with a sprinkle of cheese if desired. Hope you guys enjoy! Please let me know if you try the potatoes and let me know your favorite variations.